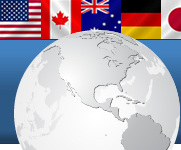 US tariff and NAFTA compliance consults and broker assistance, nationwide import and export experts. Click the buttons on any products to add them to the Paypal shopping cart. You DO NOT have to have a PayPal account to purchase products. Paypal is safe and secure and allows Export Import Compliance to process your order WITHOUT access to your important financial information. We usually ship out orders within one business week after payment. We will advise on backorders. We'll contact you by phone to confirm and complete your order. List products you want to purchase here. Please include title and cost. We'll contact you by phone to confirm and complete your order.